Two days ago I reported details of a tacit ‘reactionary pact’ in which UKIP voters were defecting to the Tories in order to secure the hardest Brexit possible. I noted that the fact that these voters had rediscovered a home for themselves in the Conservative Party was an indication of the extent of UKIP’s political victory rather than the defeat some have claimed. I pointed out that this combination of the Tory core vote and UKIP voters (who, by the way, almost definitely include some lifelong Labour voters who voted Leave and for whom that his the most important issue) could lead to many years of Conservative rule, led by the right-wing side of their party. This may seem a gloomy prospect for those on the left of the political spectrum. But there is an answer, a way of organising themselves within our election system that might stop, or at least slow down this process. It may not happen in this election, but it is time for the ‘Progressive Pact’. Under First-Past the Post – our election system for the General Election, the party with the most votes in a constituency wins the seat. So geographical concentration needs to exist in order to win, rather than simply national vote share. A split left-wing vote is thus problematic, particularly if the reactionary pact I reported yesterday is really happening. 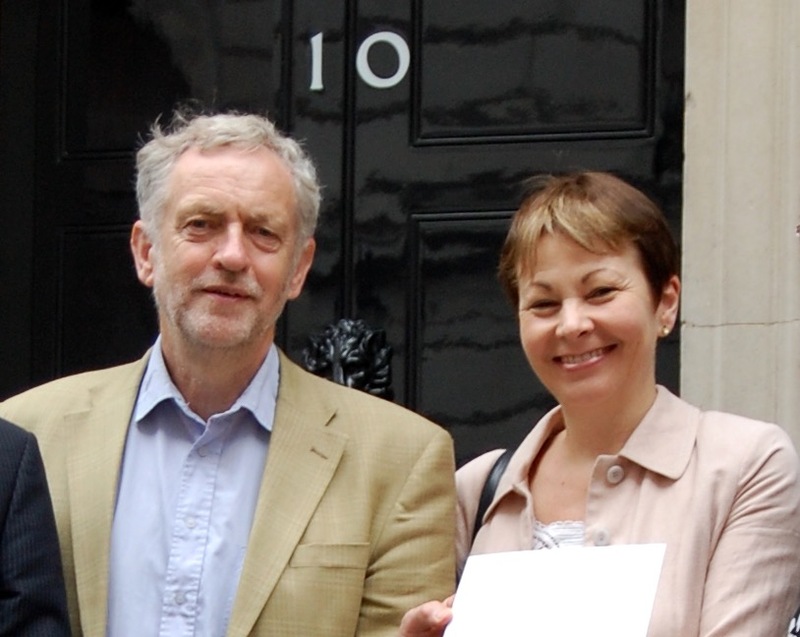 Caroline Lucas and Jonathan Bartley (joint-leaders of the Green Party) have already written to the other parties on the left of our political system to suggest an electoral ‘pact’. This would mean agreements to hold back from campaigning, even putting up candidates, in certain constituencies so each other can win seats against the Tories. All might benefit from this, and more importantly a well-organised pact could derail even a small Tory majority. Labour and Lib Dem leaders have publicly nixed this idea, but privately? Who knows? What would need to happen is for some serious horse trading amongst Labour, the Lib Dems, the Greens and the SNP. They would need to look carefully at polling and work out which of them is most likely to win a seat, or come second at least. Then the others need to withdraw from challenging for that seat. It will be no use not campaigning, as long as a Labour name is on a ballot many voters will blindly vote for them. It needs actually withdrawal from contesting the constituency, and heavy marketing of what they are doing. The choice for the country needs to be presented as a binary one. Us or the Tories and UKIP. Any other that means that they might not have enough votes to win the seat. The obstacles to this are many. The first is Party politics and alignment, which is fierce in many, particularly in Labour. In fact, Labour Party rules state that Labour candidates cannot campaign for anyone other than Labour. But if they are not standing in a seat surely they wouldn’t be? I am happy to be corrected on that one. Jeremy Corbyn has also stated in a speech to trade unionists that the Labour Party itself is a progressive pact. This was true until now, but the uneasy co-habitation between metropolitan middle class internationalists and traditional working class nationalists came to an end on June 23rd 2016. In fact, it came to an end long before that, possibly on 1st May 2004 when the East European states and their cheaper, higher-skilled workers joined the EU and anyone who complained about the impact on their ability to feed their family was called racist. The Liberal Democrat response has been that they can’t do that as they don’t want Jeremy Corbyn to be Prime Minister. That’s all very well but are they saying that given the choice between Theresa May and Jeremy Corbyn they would choose the former? As I said, binary choice. The Greens and the SNP are for this plan, as Nicola Sturgeon has indicated many times before. Anyway, a Progressive Pact may still result in Theresa May being Prime Minister, but with a much smaller majority, so the Corbyn issue may be irrelevant. Politics all over the world is in a very different place at the moment to the one that people are used to. It is possible that the four million UKIP voters from the 2015 General Election have realised that and are adjusting their vote to reflect that. The Conservative Party, often described as one of the most ruthless Election winning machines in global political history, is also adjusting its programme to reflect that. The Progressive left at some point will have to adjust, or lose again and again. Fascinating debate, lots to say shoulda progressive pact be imposed top down or grassroots up? The first past the post is the key obstacle but this is a way round it, there is also divides within the Labour Party look at the issues in the Hove constituency where momentumites are taking on the centrist candidate, i.e. You can’t expect electoral pacts if you can’t deal with issues in your own party, I think the idea is too late for this election but one for the future especially as expected that May has a commanding majority, suggest you read the Aleternative edited by Caroline Lucas and others where the policy meat is put on the bones. The irony of your comment on FPTP is that I think the progressive pact is the ONLY way the left can combat the rise of the right. They need to combine votes from all left wing voters to have a chance of winning seats with a simple plurality (1 vote more than the second placed party).